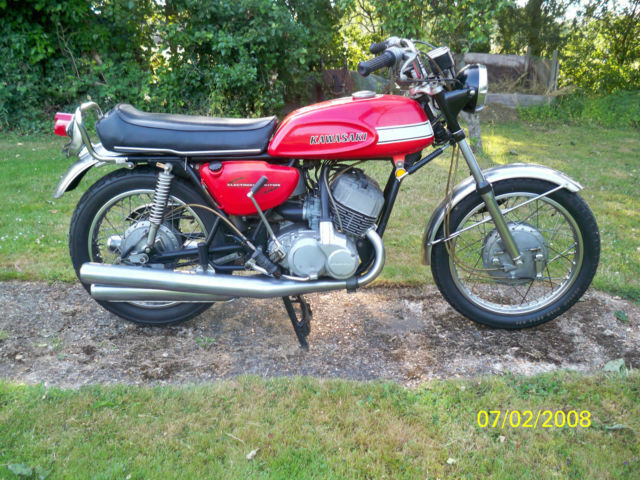 For sale is my 1970 H1 Kawasaki due basically to me getting old and thinning down my collection. 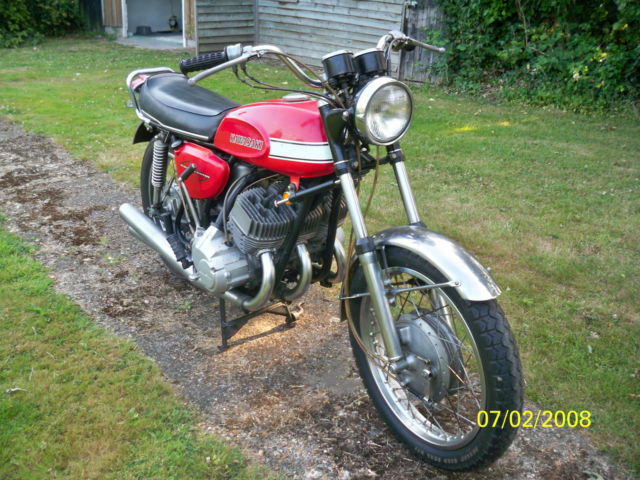 If you are the sort of person who is looking for and appreciates an original for the collection rather than a shiny restored show bike then this is it. 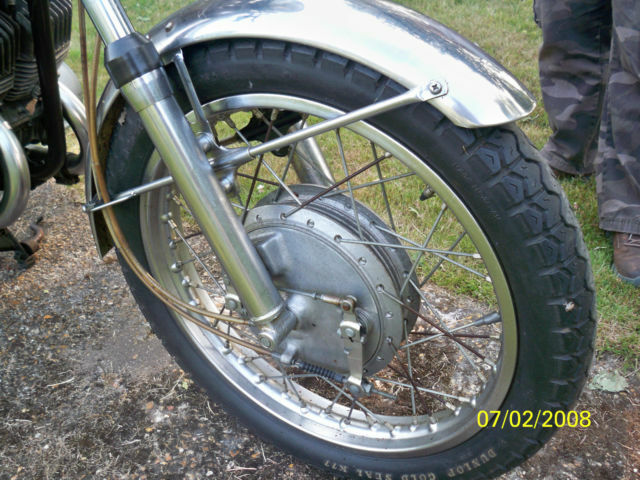 Its a standard unmessed with genuine bike which came from a warm and dry part of the USA. I bought it over there in the 90's when I lived there for a while. Even back then it took a lot of time and a lot of legwork to find it. 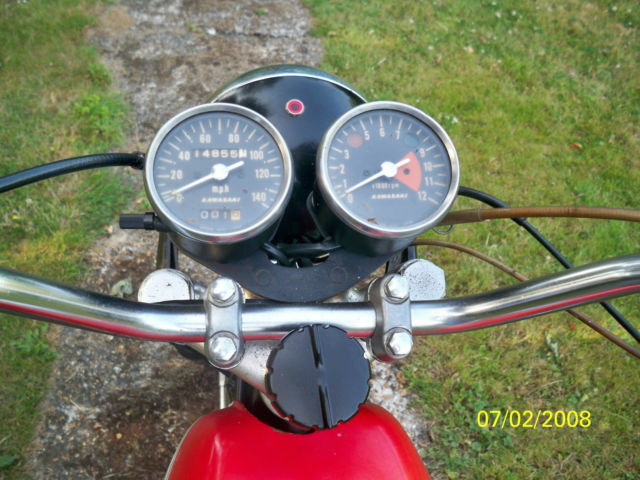 Its a running, fully functioning bike which has been run and used throughout its life. 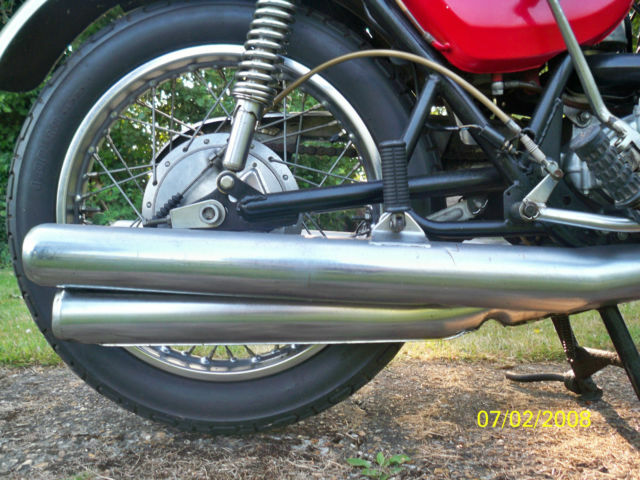 The paint looks good and the pipes are sound and polish up well - no battery acid stains or dents. You dont have to spend a fortune on it restoring it and its nice just because so few unmolested examples have made it this far. It does have a later type kickstart boss as you can see. 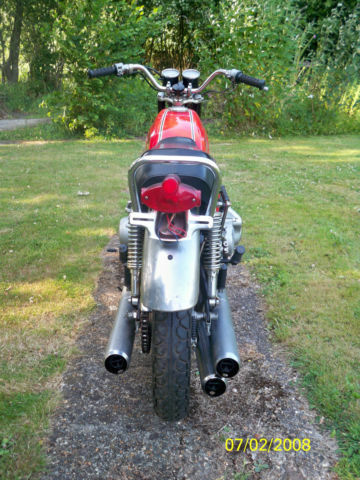 There is a later Kawasaki steering damper on it. ( the original damper I think was an optional extra) but I think none of these points is the end of the world. There is some age related patina though its in pretty good shape for its age. Checkout the photos. I am happy to answer any questions you may have. 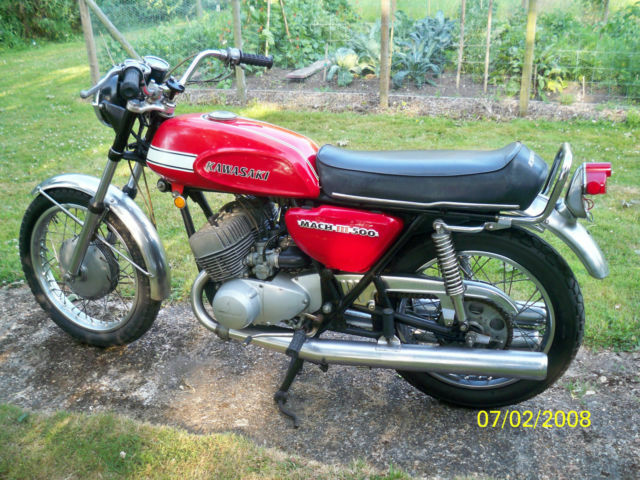 You can register it - it comes with the required paperwork - put some new tyres on it and ride it to the pub on those summer evenings. Or you can find an original rear tyre (front one is original 14885 miles) fit it and just put it on display and enjoy looking at it. It is at present wearing a good coating of WD40 and with a summer commissioning and detailing comes up beautifully. Come take a look. Try a sensible offer if you are interested. I am a bit picky myself and I can honestly say that it really is a nice bike. I always think too that the red H1 is the prettiest to look at. I keep an irregular work schedule so I would ask that you understand and work with me in that the sale will have to be be handled around that. If you wish I can assist with shipping in UK or most places overseas at buyers expense. As its a classified ad it can of course be sold at any time. 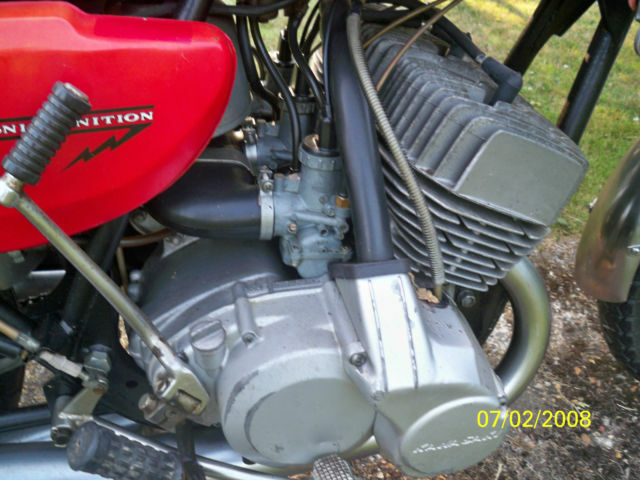 Please remember that its a 45 year old classic bike and a two stroke. They dont make'em like this anymore ! Usual terms and conditions apply. Our time is limited so lets not waste it. Daft questions will be ignored and no Arfur Dailey - type characters need show an interest - unless of course you wish to pay the full asking price in cash tomorrow ! If you are genuinely interested in more details you are always welcome to get in touch and have a chat.